a 'Batrep' - of sorts! Goodness me, where does the time go? Blessed with a small 'mini-break' from work, I find my beloved '28mm Victorian Warfare' in desperate need of a Spring clean; or at least a post or two! It has occurred to me that I had not made mention of a game I recently attended; finally I hear you all cry! Not so very long ago, I had been following a series of posts by the 'The Dark Templar' charting his progress and pitched battles with his good friend, Bull (of 'Bull's Waaagghhh!' fame) in the murky backwaters of a galaxy known as Warhammer 40K. Apart from the usual incredibly high standard of modelling and painting Master Templar was also engaging in a bout or two of trash talking, with a certain amount of justification given the ferociousness of his recently revamped Plague Marines. Looks great, but not powerful enough to penetrate the armour! Having left a comment or two on the relevant posts you can imagine my surprise when I received an email inviting me to the next game! There was no pressure to bring any models or learn the rues just turn up and roll some dice. Now having said that I hoped to play some games this year the invitation was just too good an opportunity to miss out on, not least because it would be a wonderful opportunity to catch up with Mike who I had last met at the conclusion of the 'Tale of the Three Painters'. Wow! The Templar's big boys rip into the Dark Angels. And so it was that I found myself on 'Bull's' threshold, armed with camera and chocolate digestives ready to do battle. Now I won't commit to a full 'Batrep' as these can be found here (The Dark Templar's) and here (Bull's), but I will share some of my own thoughts and observations as appropriate. On arrival the board was already set up with the terrain awaiting the positioning of models, this would prove problematic for the The Dark Templar as it transpired that he had inadvertently left his miniatures at home - how could this be possible? How could you turn up to a prearranged game without your models? Now there was a perfectly good reason for this but let us just say that The Dark Templar was already on the back foot and the recipient of one or two salvos of playful banter. All was not lost as substitutes were press-ganged into service from 'Bull's' huge collection and he had managed to remember his Nurgle Heldrake and Forgefiend - two splendidly converted and painted demonic monstrosities. Once the game was underway I have to confess that there were times when the combatants may as well have been talking in gibberish; a sci-fi fan at heart I could keep up with 'Laz-cans', 'Pulse-cans' and 'Flamers', but when it came to the more specific game dynamics, I was lost. I was amazed just how much reference material was at hand, partly because the codex been used were new to both, but also the amount of intricacies they contained. It was clear that these were two seasoned gamers, veterans of many a campaign and yet there was still so much to learn - what hope was there for me? Perhaps sensing my apprehension at been on the periphery of this pitched battle the 'Dark Templar' handed me a set a dice with the clear instruction, "anything higher than a 3". As the 'cubes of chaos' came to a standstill, many with 6s face up, I was hooked! As the game progressed, I was able to get a better handle of the systems that made up a turn and started to appreciate the strategies that were been employed in front of me. I remember been horrified though at just how much physical punishment the models were taking. They were picked up and repositioned with gay abandon, occasionally knocked and all the time I thinking, "oh no, is he all right? ", "please don't let his paint be chipped!" I think it was at this point that I started to understand just how far I had to go to become a gamer! Challenge accepted; the shy Typhus's played by an Ogre! The game came to a natural conclusion, a win for the Templar's Chaos forces, but what a splendid afternoon's entertainment it had been. I can't thank the chaps enough for their very kind offer and of course, Mrs. Bull for the splendid hospitality - wonderful bacon sandwiches and lashings of tea and coffee. Now whilst I appreciate that I have a while to go before hosting a simialr battle it has confirmed my desire to persist with this most wholesome of hobbies, but is it wrong that I want to go out and buy some Warhammer 40K models? Glad you were given a gamer's slap-on-the-back and some dice to roll. And when you add to that high...bacon sandwiches, well, you know it has been a glorious day! Buy is the password that unlocks a modeler's adrenalin locker! You're not wrong there Jay, a slippery slope indeed. I would seriously get back into 40K if it involved bacon sammitches. The humble bacon butty, always a crowd pleaser. My God man you played a game and what's what its not to do with Victorian Colonialism, whatever next, you'll be telling me you enjoyed it. Oh I see you did enough it and jolly good too. Seriously good fun, but painting still needs to come first. Looks like a great bundle fight of a game. 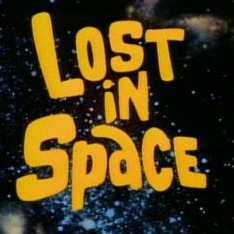 Lost is space..wasn´t there an episode with a toy tanks they had to demobilise...or was that the swiss family robinson? Absolute mayhem on the table and I'm afraid you have me at a loss with your question; I feel a bit of google based research coming on! Nice game Michael, looked a lot of fun! Great fun and very kind of the boys to let me come and gate crash. It's the Chaos..again. These guys are really tough! Mike's plague marines certainly didn't seem to want to stop for anyone! Sounds like you had a good time. I personally couldn't get into 40k despite reading hundreds of books from the universe as I find the cost of the figures prohibitive. You're not wrong on the price, I had a little look on line and my goodness me - it was daylight robbery! A glorious day indeed… not least for the Chaos forces. Was great to have you involved Michael, and you did the Chaos team proud with your dice rolling – quite stunning. However, even now some two weeks later, I'm still gutted I left my figures case it home – so much for a showcase game, no a no-show case, lol. Next time I will bring my own models I promise! I also have to add that your photos are superb – war photographer in the making! I can't thank you enough for the invite it was great to finally see what it was all about and just how addictive it can be too. Well done for getting in a game, though 40k was not something I took you having an interest in! Always loved a bit of sic-fi but I think I'll manage to avoid GW for a bit as I see what you mean about being expensive! sounds like you guys had a great time...thanks for sharing! So pleased for you Michael. You got to live my dream! The write-up here conveys your excitement and pleasure at being able to see this all first hand. The thought of my mini's being knocked over horrifies me!! You took some great pictures of the table as well. Have a great week sir! That is very kind of you Anne and it really was a blast to catch up with Mike and see what this gaming lark was all about. Still having bad dreams at how the ruffians treated their miniatures though! The dice gods were smiling, tempting you with their benevolence. Once you're hooked, they'll torture you remorselessly, but you won't be able to stop! I saw some of this first hand, there was even debate about how the colour of the dice might also influence the outcome! That pretty much comes up the situation perfectly Jason! Great report sir! It was good to meet you and we did have a blast. Glad you enjoyed it and I will pass on your good wishes to Mrs Bull. Bring on the next round. Once again a huge thank you for allowing to gatecrash the event, thoroughly entertaining. All good fun then! Good to meet up with friends and you bought biccies! nice pics looks like you all had a good time. Great fun, but now need to crack on with the painting challenge! Certainly was Captain, looking forward to more. Bloody good to hear Michael, I like that!